A farm rich in agricultural history, the Melvin Farm included 125 acres of fields, woodlands and wetlands; a farmhouse and a barn. 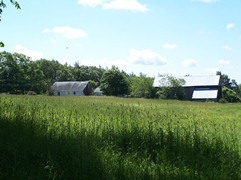 NH Conservation Real Estate was a Buyer Representative for our client when he purchased the farm in 2008 from its long-time owners. Subsequently, we assisted as a Consultant as the new owner sold at a bargain price a conservation easement that protected 19 acres of fields with important agricultural soils through the Farmland Protection Program. 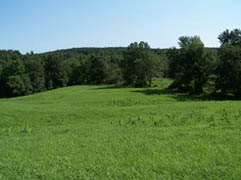 NHCRE then marketed and sold the buildings along with the easement acreage. Future plans for the remainder of the farm are a homesite for our client and a conservation subdivision intended for green workforce housing. Home to a large community supported agriculture (CSA) operation, the Middle Branch Farm received conservation protection in 2010. NH Conservation Real Estate served in a consulting role to assist the landowner through the process of bargain-selling a conservation easement to the Town of New Boston through the Farmland Protection Program. From here forward 73 acres of farmland including beautiful pastures, hayfields, cropland and forest are conserved for agriculture. The easement also serves to protect a magnificent stretch of the Middle Branch of the Piscataquog River affording habitat to a myriad of widlife and scenic vistas to all.